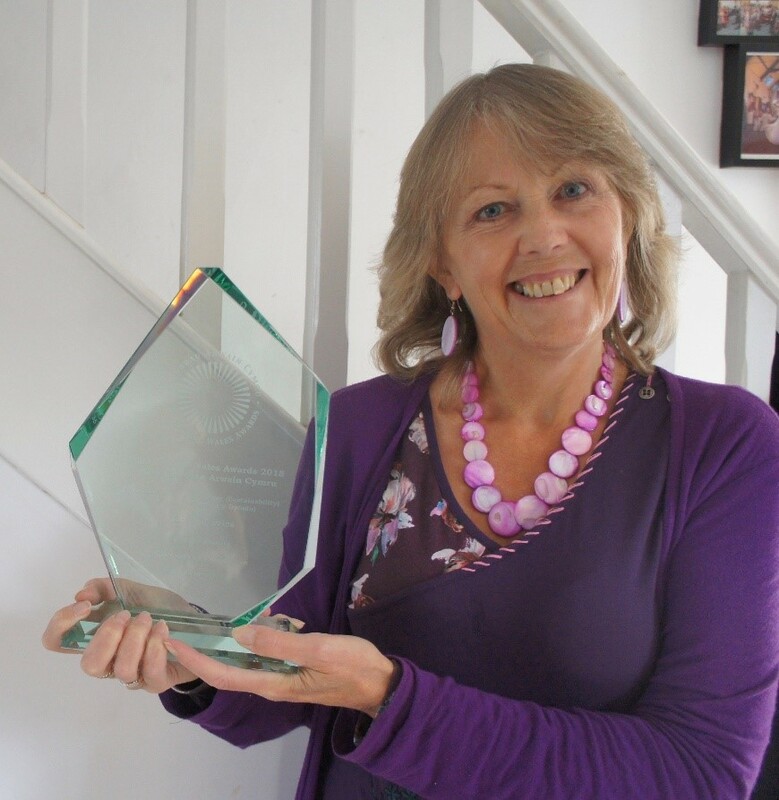 Karen Davies, Chief Executive of Purple Shoots has been awarded the “Leadership for the Future” title in the 2018 Leading Wales Awards. The prestigious, pan Wales 2018 Leading Wales Awards, in association with The Institute of Leadership & Management, identify, recognise and celebrate individuals in Wales in all sectors and at all levels of responsibility whose leadership is making a real difference. Karen (pictured) established Purple Shoots five years ago to tackle poverty and unemployment through encouraging entrepreneurship, independence and self-reliance. This is done through microfinance – offering small loans to individuals to help them start or run small businesses – and through self-reliant groups, a unique way of working with people who are left behind by the economy and society, creating an enabling environment which allows their members to reach their potential, rebuilding confidence, developing skills and income generating ideas or preparing them to seek employment or training. In 5 years, Karen and her small team have helped over 400 people out of unemployment, supported more than 375 small businesses and helped more than 150 people through self-reliant groups. Purple Shoots makes a tangible difference to the people it helps, enabling them to create long-term sustainable changes in their lives. Ben Cottam, Head of External Affairs, FSB Wales and Member of the Leading Wales Awards Consortium chaired this judging panel. “Our winner this year was someone who really understands the tenets of the future generations and the future proofing agenda. Karen, through her agenda is empowering individuals and communities; she understands that her leadership can help create resilient organisations and resilient businesses. Karen is someone who really does understand the value of leadership in helping create a conversation about future resilience.” Ben Cottam, Head of Externa Affairs, FSB Wales, Consortium Member and judging panel chair. Barbara Chidgey, Executive Chair of the Leading Wales Awards said: “This year we focused on unearthing nominations from across Wales of individuals whose leadership is inspirational and transformational. Individuals whose leadership is contributing to the delivery of the goals of the Well-being of Future Generations Act. For further information on Purple Shoots go to www.purpleshoots.org or contact us on info@purpleshoots.co.uk or 07726 599267.